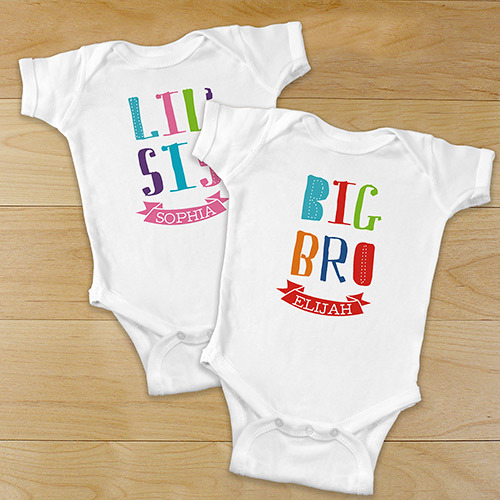 Your new family member will look precious showing off this Personalized Siblings Infant Apparel. We will custom personalize your Personalized Baby Onesies with any title and any name. Makes a great apparel addition to your babies wardrobe.